With two National Awards and three Filmfare Awards in her tow and a track record of not a single failure Bollywood actress Kangana Ranaut is truly the Numero Uno actress of Bollywood. “The only advantage that I have thanks to my successful films and awards is that I am in a position to select my movies as per my wish. 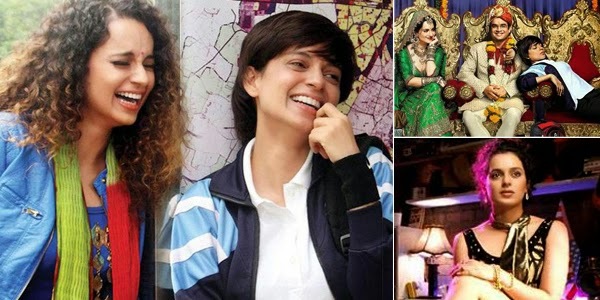 Earlier I did not have many films but after the mega success of QUEEN the scenario is different,” said an elated Kangana Ranaut who is promoting her latest film TANU WEDS MANU RETURNS. “What is perplexing is that a couple marries after love affair but soon their marriage lands in divorce while on other hand we find our parents enjoying successful marriage,” she quipped.